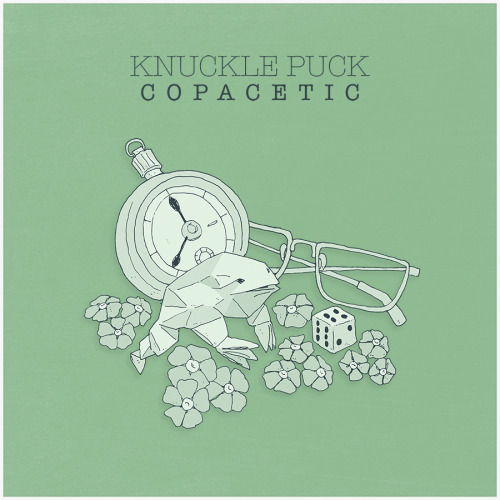 Knuckle Puck's debut record "Copacetic" is the epitome of pop punk. If you didn't already know what genre the band is, the album title should have given you an inclining. An up-in-coming band that has its origins in Chicago circa 2010, these fellows have kicked things off with a strong debut. After completing a run on Warped Tour 2015, the band have found themselves with a growing fanbase, and a surprisingly successful debut. Click this (link) to buy their album on iTunes. A string on EPs lead up to this debut. Knuckle Puck even did a split EP with Neck Deep, fellow rising pop punk stars. Their sounds are similar, maybe in some aspects too much. But then again, pop punk can sound the same after a while. 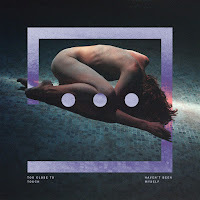 The most notable difference between the band's EPs and this album is the higher quality production. Songs are mixed better, and no one part over takes another. Raw vocal deliveries from Joe Taylor make us all wish pop punk bands would drop the gloss coating (*cough All Time Low cough*) and go back to the low production levels found on this album. Every song is perfect for Warped Tour, generally loud, in your face, and emo. "Ponder" holds the album title, and is a slower number. The not so subtle line which contains the title, is given with some nice bass or toms in the background. Overall the track has an airy quality that doesn't quite fit the album. By itself the song hits home, but when you listen to the album as a whole you find yourself wondering why it was thrown in the mix. "Disdain" is a summer song to remember. Catchy and simple are the must haves in the pop punk formula. The band nails that here with these lyrics, "I'll be the empty canvas if you be the paint. And if you let me stay I'll keep out of your way, my space is yours to occupate." Next track "Poison Pen Letter" holds some of the band's more mature lyrics, taking about the singer's desire to find catharsis. Which is a nice change of pace from the others, which are lyrically nothing spectacular. Pop punk is all about heartbreak, board shorts, and power chords. Knuckle Puck have those qualities in spades. The major draw back is the lack or originally. If you got Ben Barlow to sing, you wouldn't know that this was a KP album. Maybe it's just me, but this album is far to similar to Neck Deep's debut. The vocals and guitars in particular. But Neck Deep have matured and their sophomore has showed how they've stepped up their game. 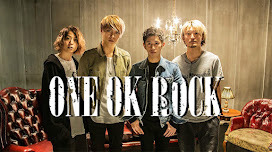 Songs like "True Contrite", "Poison Pen Letter" and "Swing" should be replicated in future albums, as they are the best examples of the band's talents. Everything else is fairly standard for this genre. The band has yet to find a distinct voice, but what they lack in originality they make up for in upbeat songs that encapsulate summer vibes in less than 3 minutes. A complete throwback to the early 00s pop punk, with blaring guitars and rough vocals. Fans of Neck Deep, and Real Friends will be drawn to the "classic pop punk" vibe. Also for fans of State Champs and The Story So Far. Warped Tour is now over, so where does that leave the boys of KP? Riding the high the career starting tour gave them. And they deserve to bask in the limelight, for a while. "Disdain" deserves the lead single accolades. Other noteworthy tracks include "Poison Pen Letter", "Stationary" and "Wall to Wall (Depreciation)".